Some people don’t like my Ferrari idea. And it works because it’s not usual. Because it’s not usual, it gets noticed and commented on. Firstly we’ve got to agree on a few things. Many, many hotels/resorts use last minute booking providers like Wotif. These guys generally take a 10% commission. Up to 50% of a hotel/resort business can come through one of these providers. So let’s assume 25% of bookings come via the hotel/resort web site. Tons of hotels/resorts use external booking systems that take a 10% commission. 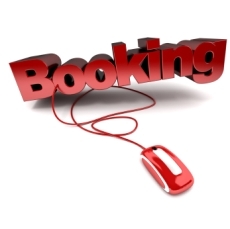 Let’s now assume the final 25% of bookings come direct and don’t attract a commission %. So we’re agreed – 75% of the booking attract a 10% commission. The Average Length of Stay (ALOS) is 4 days. Average cost per night is $150. (I’ll disregard all the other income streams a guest represents from tour commissions, room service, Internet usage, etc). Let’s say we have a 20 room hotel. And we have an 80% occupancy rate. That means you sell 5,840 room nights pa at $150. Now, 75% of that is commissionable at 10%. 10% of that is $65,700 paid in commissions. $65,700 in commission. A fair chunk of change. Now, imagine you own that little hotel and pick all your guests up in your Ferrari. They drive back to the hotel in the Ferrari. I can guarantee that very quickly you’ll be know as “That Hotel With The Ferrari”. And that Ferrari is what we call a choice influencer. I know I’d book a hotel that offers to pick me up in a Ferrari (all things being equal). And I’d reckon you’d have a much better chance of being noticed in the cluttered accommodation market now you have a Ferrari as your courtesy car! My mate Luke has a beautiful Ferrari F355 GTS for sale. He’s selling it for $99,000 – a bargain if you’re after a Ferrari. Let’s say you get onto Luke and buy his glorious Ferrari (all Ferrari’s are glorious!). Let’s assume that because of the increased awareness because of the Ferrari your direct bookings go up. Let’s say that because of this increased awareness – after all, the Ferrari pick ups have got you air time on major travel shows, tons of print media stories and hundreds of Twitter and Facebook mentions – the direct bookings (non-commissionable) now represent 50% of your bookings (I think that would be a very conservative number). That’s a nice little saving of $21,900. Now, you’ve saved yourself $21,900 by using this Ferrari and in just over 4.5 years your Ferrari has paid for itself. Or, if you borrowed the $99,000 at 10% you’d be paying $9,900 a year for the Ferrari and making yourself $21,900. By buying yourself a Ferrari you could improve your business bottom line by at least $12,000 a year. Buy a Ferrari to have guests ferry themselves to your hotel accommodation. Oh, and did I mention…….you’re now driving around town in a Ferrari!